RSVP NOW!!!! Seats are limited. This entry was posted in Uncategorized on February 3, 2018 by Mike. 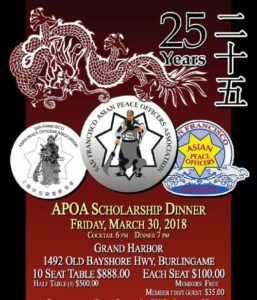 SF Asian Peace Officers' Association © 2019. All Rights Reserved.